I've been wanting to talk about how I design characters for a while now, and my recent Design lecture gave me a good excuse to pull together some thoughts and images on the topic. It'll take a few posts; no promises that I'll be quick about it. As always, this isn't the only way or right way, it's just mine. My fear when I do these "How To" posts is that I'll come off as claiming expertise I don't have. Just so we're clear, I barely know what I'm doing. At the same time, some readers appreciate these looks at "process" and I enjoy writing them. And it's my blog. With that understanding, I'll lay some groundwork today, and in future posts get into examples from Mom's Cancer and Whatever Happened to the World of Tomorrow? 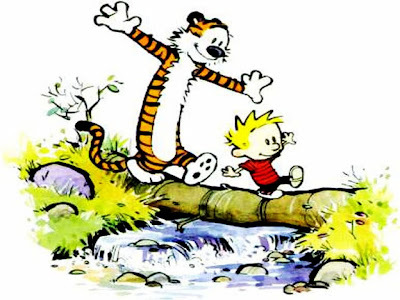 Comics distill reality to its essence, and the more essential the better. I think comics work best when visual information is delivered so simply, so iconically, that readers understand its meaning without even thinking about it. They get it at a glance. 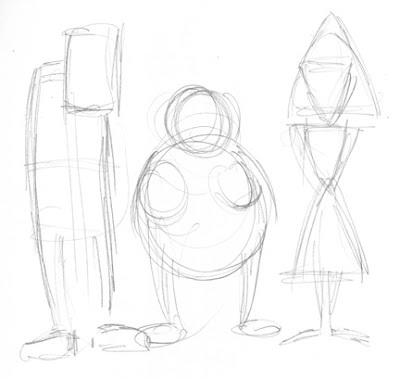 To help readers along, characters can be designed to contrast: short/tall, fat/skinny, male/female, black/white. The more different they look the better--it not only helps a lot visually, but provides built-in sources of conflict between your characters that you, the writer, can play with later. 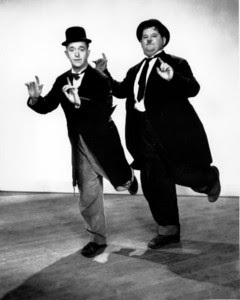 Laurel and Hardy: the quintessence of contrast. Carney and Gleason: same gift, different package. 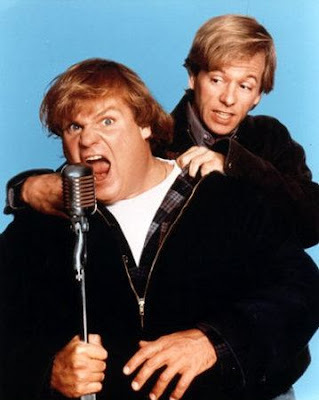 Farley and Spade: updated for the nineties. 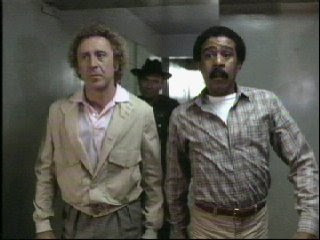 Wilder and Pryor leveraged their physical differences to create characters with conflicting personalities and perspectives. 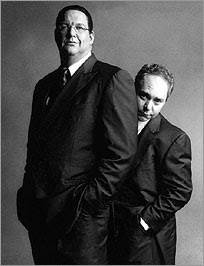 Sure, Penn and Teller became partners because they were both terrific magicians and performers, but I'll bet the first thing they thought when they met was, "Hey, we'd look great together!" 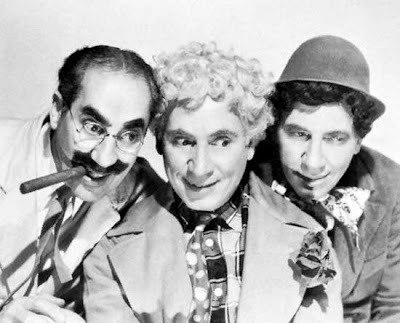 The Marx Brothers had similar builds and features (after all, they were brothers! 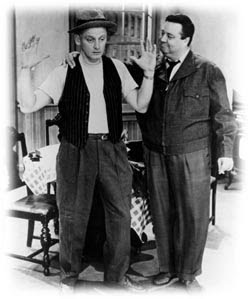 ), but their props, costumes, hair and posture made each visually distinctive. 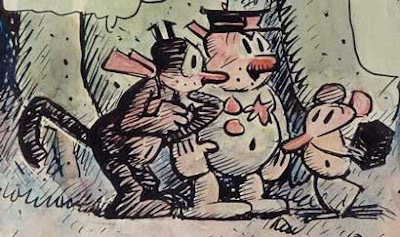 Krazy Kat, Ingatz Mouse and Offissa Pup are all different and instantly distinguishable. Stephan Pastis is shrewder than he looks. His characters are practically silhouettes already. Scooby-Doo: I like this example a lot. You've got two girls who look nothing alike, two boys who look nothing alike, and a giant dog. 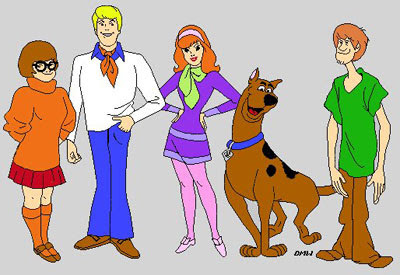 Every one of these five characters has a unique contour that makes them easy to pick out in the darkness of a haunted house or old abandoned mine. 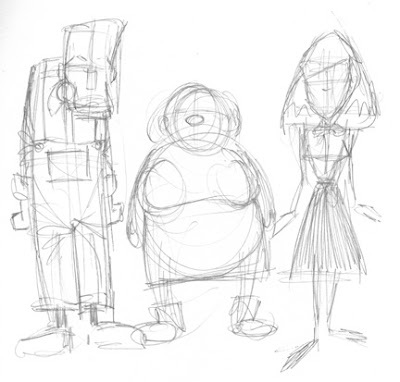 Below is something I've shown before, part of my initial design work for three characters who will appear in (what I hope will be) my next big project. You can see what I did here, building them from fundamentally different shapes (rectangles, circles, triangles). They're fleshed out a bit more in the second drawing, and by the time they actually show up on the page they'll be more organic and flexible, their component shapes less obvious. But I'll always know these shapes are hiding beneath their clothes and skin, and understanding how they're constructed will make them much easier to draw. In addition to making my characters look different and distinguishable, I spend a lot of time drawing them from every angle I can think of. Animators call them "turnarounds." I have to be sure my characters can smile, frown, scream, walk, run, jump, fall, sleep, and do anything else the action requires them to do. Some designs have limitations, which is fine as long as you know what those limitations are. For example, almost every time a "Peanuts" character raises its hand above its head, it's shown in profile. Charlie Brown's hands stretch a lot farther in the left panel than they possibly could in the right, where it looks like they couldn't even reach his ears. These kids could never do a chin-up. Mr. Schulz had no problem working with that design limitation for nearly 50 years, but if my characters might need to raise their hands over their heads, I need to make sure they can. 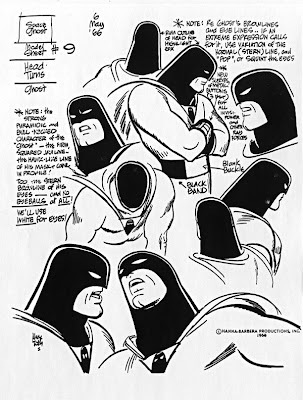 A Space Ghost model sheet drawn by Alex Toth, showing how the character works from different points of view. 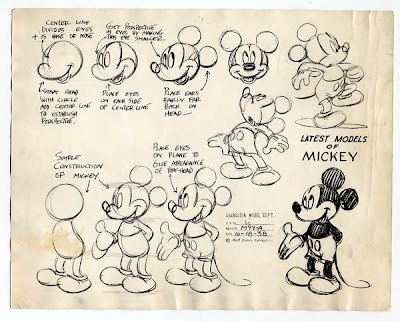 A great model sheet for Mickey Mouse circa 1938, showing both how he's constructed from simple shapes and how he looks in action from different angles. 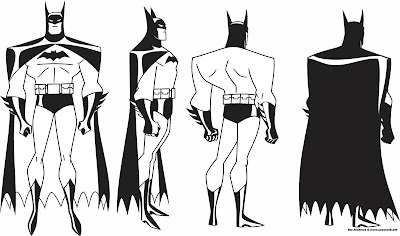 A lot of artists think they don't have to worry about figure construction, and just start drawing away. That may be all right for some. But whenever I get frustrated with a drawing that looks wonky and just won't work, I invariably find I've neglected either perspective or figure construction, and going back to basics--defining a horizon line and vanishing point, or blocking in the character's fundamental forms--usually fixes it. 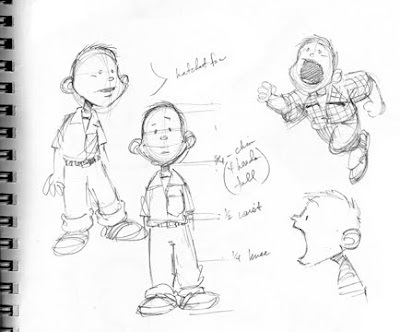 Below are some of the earliest sketches I could find of the character who became Buddy in WHTTWOT. He changed a lot after this, but even here you can see I'm trying out shapes and proportions, seeing how he'd look with different expressions and movement. (BTW, the note that reads "hatchet face" doesn't mean I wanted him to look ugly; it means I wanted his face to literally be shaped like a hatchet.) I did dozens of drawings like these to polish the character design into one I could draw consistently and repeatedly, doing whatever I needed him to do. Coming up (someday): Some things I think I did right and wrong. EDITED TO ADD: Here's Installment #2. This is really good -- a substantial topic well-covered. No names, but I can think of a couple of syndicated comics that may never make Comic Strip of the Day.com because, even after reading them for months, I have to pause to figure out which character is which. Adding curly hair to the same face does not create a new character. Interesting stuff about contrasts in character pairs. That may explain why twin-like characters (Heckle and Jekyll, Pixie and Dixie, etc..) aren't as iconic as the odd pair ups. Thanks, Mike, I appreciate it. One of my long-standing complaints about B.C., even back in the Dark Ages when it was genuinely innovative and great, was that I could never tell the cavemen apart. I think it matters. Namowal, interesting point and counter-examples. 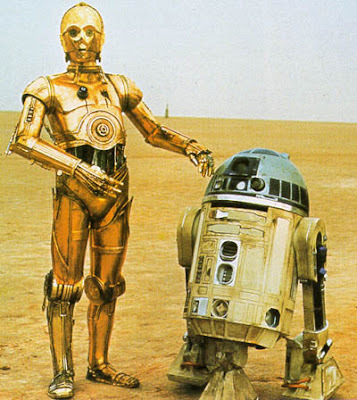 I suppose one approach to twin-like characters would be to make everything else about them distinctive. It'd be an interesting challenge.